Råå Hamn. Delightful harbour village near Landskrona - 1 Juni 2008 . HD Wallpaper and background images in the Sweden club tagged: raa skane summer harbor scandinavia image travel tourism sweden sverige. 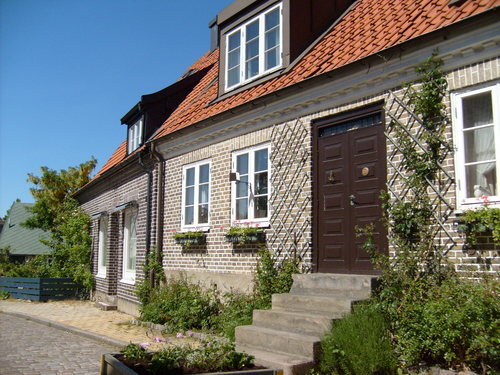 This Sweden wallpaper contains bungalow, cottage, hip roof, hipped roof, school, and schoolhouse.